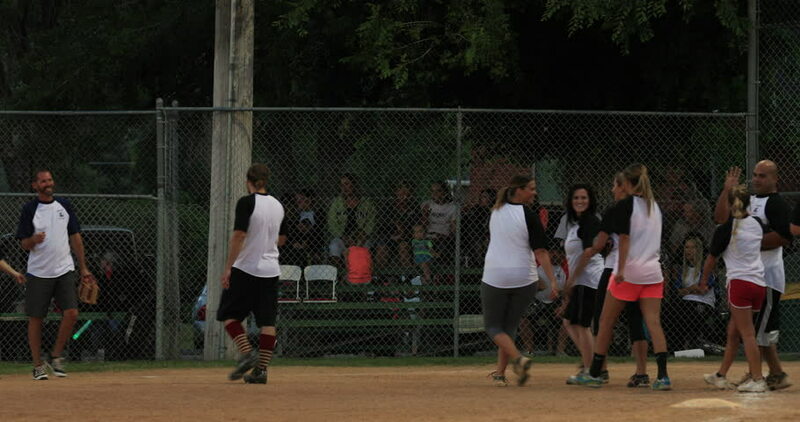 FOUNTAIN GREEN, UTAH - JUL 2016: Softball teams at end of game sportsmanship. Small rural community play softball ages. Volunteers umpire. Team spirit and teamwork with youth, teenagers and parents.